The author explores the public unveiling of Edison’s phonograph and the subsequent cultural changes that resulted from this convergence of human voice and machine writing. The history of turntablism is traced from the first ideas of using the record player in a musical way at the beginning of the 20th century through to today’s experimental turntablism, and the diverse influences and connections of turntablism are explored. The author details his performance practice with the flap-o-phone, a homemade portable turntable that can be run without any electricity, on the street, on the bus, anywhere! 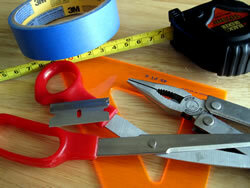 Step-by-step illustrated instructions to build your own flap-o-phone, the author’s homemade portable turntable. 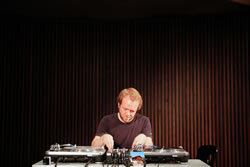 The Austrian turntablist rotates samples of other sonic acts between underground and overground in a very straightforward and transparent way. The workload is often shifted from the decks to the process of pre-selecting, the fingers remain on stand-by, ready to take over. 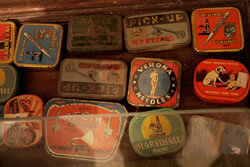 Institut für Feinmotorik describes an experiment which led to the creation of the radio piece Die 50 Skulpturen des Institut für Feinmotorik. 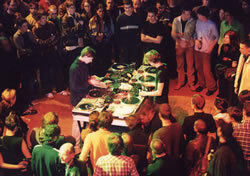 The experiment includes the use of audio material from prepared turntables, the spontaneous development of a non-musical (de)composition method inspired by the concept of sculpting, and resulted in a collection of 49 acoustic sculptures. 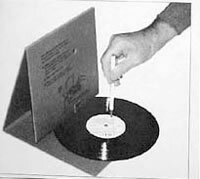 An inquiry into the notion of the formal constraint, and the Fluxus idea of the irrelevant process, in regard to the author’s practice of DIY cartridge / stylus construction and vinyl media manipulation for turntable-as-instrument type composition and performance. The turntable fuels the author’s art practice. 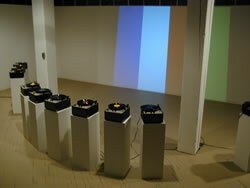 The record player is re-contextualized from tool to medium as Hansen examines the record as fetish object and how it can be meta-fetishized by restructuring its data and then layering this new information back onto itself. The two turntablists and friends sit down together over a coffee in Warzawa’s old centre to discuss Buczek’s home-made chocolate and beeswax plates, the record cutting machine he built himself and the idiosyncrasies of working with DIY materials and equipment. 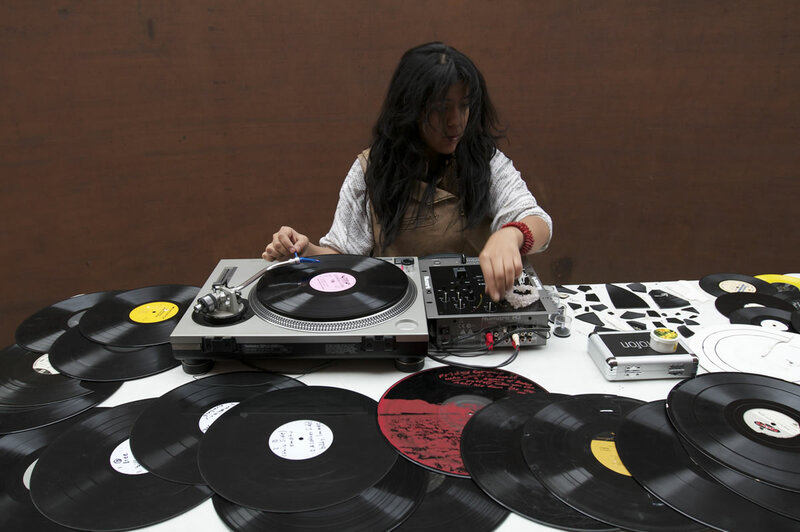 An email interview between abstract turntablist Maria Chavez and sound artist Daniel Neumann covering various topics of her practice, including context, improvisation, tool vs. instrument, the present moment, chance, live performance and future perspectives. In this video interview (French with English subtitles) from 2010, turntablist and visual artist Martin Tétreault summarizes the various stages of his career since the 1980s: from reconstructed vinyls to the turntable-as-instrument to his most recent project, the Turntable Quartet. Vinyl Terror & Horror has gained attention for their live performances and sculptures. By combining technically idiomatic turntablism with a feeling for atmospheres, they create cut-up horror movie soundtracks. Andreas Engström met Greta Christensen and Camilla Sørensen in Wedding, Berlin, where they both live and work. 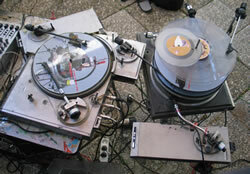 A selection of audio and video works turntable artists and images of performances, and images by artists working with the turntable as material. In the Turntable [wiki] area of the CEC’s open resource, several items related to the theme of this issue can be found. Performance Techniques. Glossary of techniques used in turntable performance. 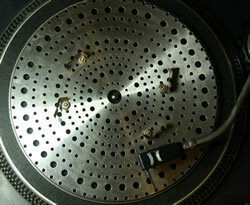 Turntable in New Music. 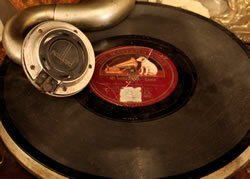 List of chamber music and orchestral works using the turntable. Bibliography. Annotated list of key references on the topic.